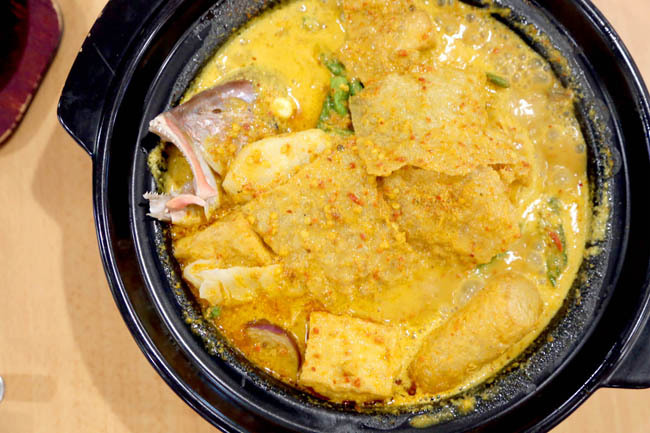 Segar Restaurant – Halal Zi Char with $10 Curry Fish Head! No wonder there a short queue outside a restaurant I havn’t even heard of. After all, it is at basement 2 of Chinatown Point and did not have much publicity. (Maybe after this post, the queue will be much longer). 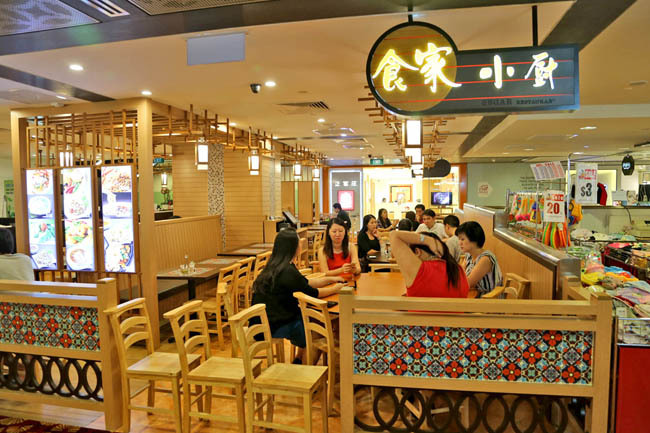 The restaurant used to be from Bedok North and the chef who used to be with No Signboard and Thai Village has more than 15 years of experience. 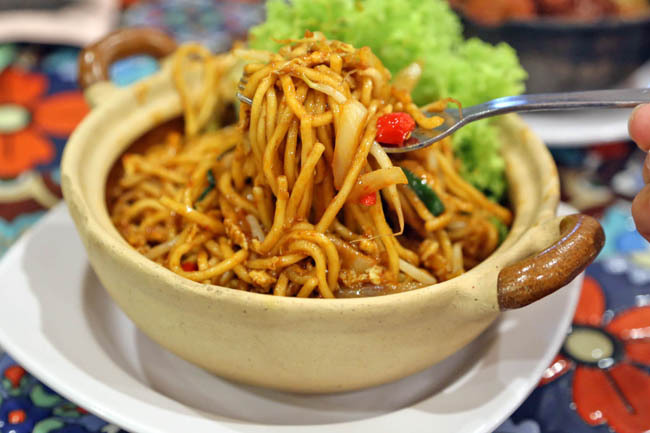 Good news is prices are rather wallet-friendly: $5-$6 for most carb dishes such as Mee Goreng, Claypot Tom Yum Noodles and Thai Fried Rice; $10-14 for meat dishes, and $14 for seafood such as Salted Egg Prawns. 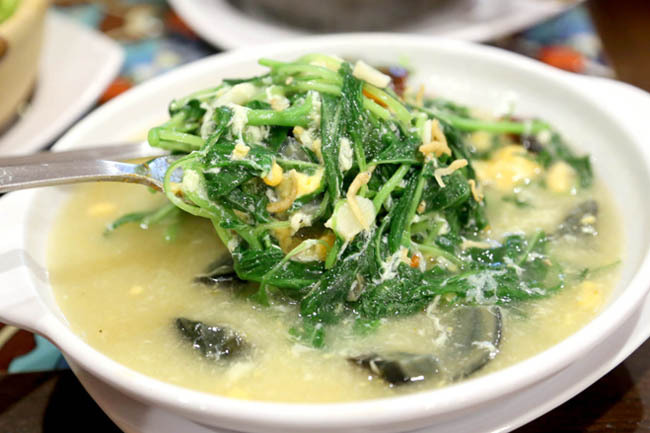 The portions are comfortable for 2-3 to share, and I noticed many small families dining in. Back to the Curry Fish Head, the restaurant was not stingy with the ingredients at all. The red snapper head was rather fresh, cooked with many vegetables such as brinjal and lady’s finger, and gravy was thick, lemak, not overly spicy-hot. 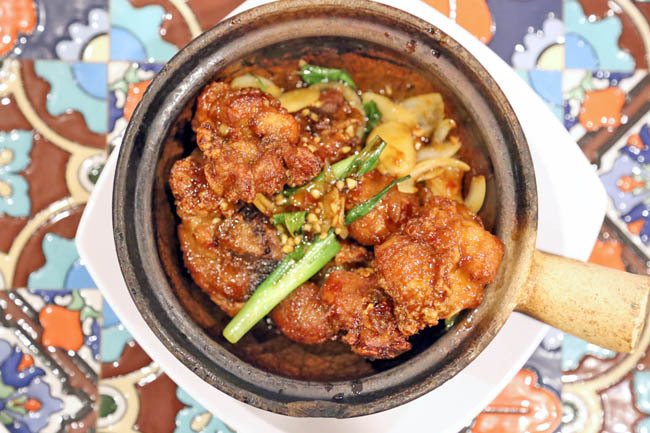 Claypot dishes seem to be their strength, such as the fragrant Segar Claypot Golden Chicken ($10.80) marinated in a tasty sweet-salty sauce. any of their noodles and rice dishes arrived in mini-claypots which kept the heat within. 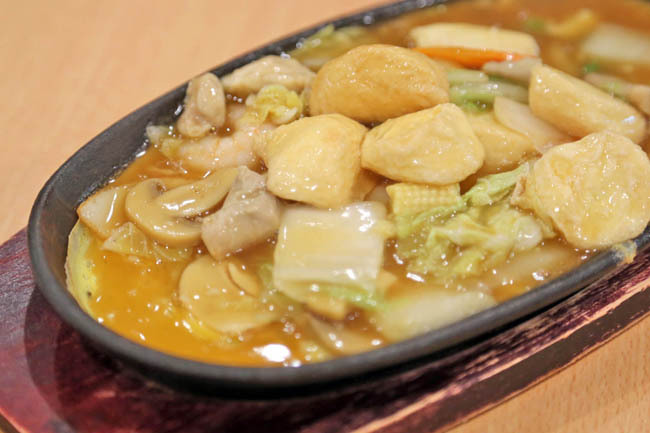 Some of the other dishes would rate 6/10 for taste and presentation, such as the non-hot Hotplate Beancurd ($12) which arrived overly pale, and I wondered for a while if it was even fully cooked. If service seems slow and not up to your standard, do be patient with the service staff as Segar Restaurant has worked closely with social responsibility groups to integrate disadvantaged into society. While it may be true what Daniel has mentioned in March. A visit to this restaurant in October seems like everything is not as what mentioned here. Service was terrible. With the entire kitchen crew and service crew having their lunch or dinner . Hence we have to finish their food before they began cooking our dishes. Twenty minutes later drinks came. Like juice was diluted. As if one cup was poured into two cups and add with more water. Food came, even more pathetic. The singapura fried noodle is sweet like ketchup. Med goreng was soggy. I would say go here if all the food places in Chinatown point has closed.